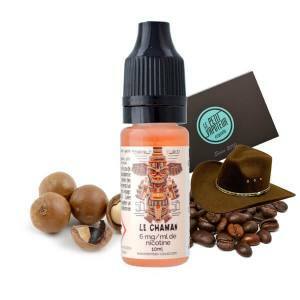 Terrible Cloud is the creator of this e-liquid from Nantes. Terrible Cloud is designed, assembled and bottled in France. Terrible Cloud have chosen high quality ingredients and the aromas of great purity. Fo the fabrication of these e-liquids, Terrible Cloud utilises products of Pharmaceutical Quality USP (United States Pharmacopeia) or PE (Pharmacopoeia European). The e-liquids Terrible Cloud are available in a 10ml vial with a Nicotine rate of 0, 3, 6 and 11mg/ml.